International Day of Action for the Seals, sometimes referred to as International Day Against the Canadian Seal Hunting, is held on March 15. Commercial hunting of seals is currently practiced in eight countries: Canada, Greenland, Norway, Iceland, Sweden, Finland, Russia, and Namibia. The most of the world's seal hunting takes place in Canada, which has become the center of heated debate because the size of the hunt. Although there are quotas and regulations, illegal seal hunting still takes place. It leads to the reduction of the seal population. Many animal rights activists are convinced that commercial seal hunting, both legal and illegal, is cruel and results in unacceptable suffering. 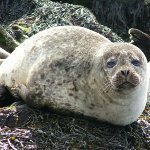 International Day of Action for the Seals is aimed at raising awareness about the problem of illegal seal hunting and the importance of seal conversation. One of the first organizations founded to stop the commercial seal hunting was the Canada-based International Fund for Animal Welfare (IFAW). IFAW was founded in 1969 and has been working to stop the hunt for seals ever since. One of its largest victories in this battle was the European Union's ban on the importation, exportation, and sale of commercial seal products.